Abcusa Apr 22 2019 1:21 pm I really like him, I think he has great potential and good looking too. So far saw his melo and action dramas, very impressive . Less talk but great visual expression I love all his drama characters . Hope one day will see in romcom. Can’t wait to see his www drama , he is pairing with older veteran actress again , I don’t think age will be problem, anyways jky looks much mature than his real age -it’s a compliment for him -;) . good luck & stay humble . Hello Apr 05 2019 3:05 pm I didn’t even notice him in liar and his lover...... whoever noticed him and gave him his role in go back couple did a great job, who knew this oppa would be sooooo good at acting. I’ve literally watched all his drama since go back couple. I’m such a huge fan. Mimii Mar 31 2019 10:56 am He's so cute! Such a brilliant actor! EmTee Mar 25 2019 3:58 pm From Come abd Hug Me to Kill It - he truly nailed this typw of roles. Ep 1 & 2 are fast pacing. Don't miss this one guys ??? Putri Feb 26 2019 7:47 am 2 dramas confirmed for first half of this year. Cant wait to watch them! He can play well all the characters offered to him. Looks like this is his year and many more I hope in K-dramas! Kim ha na Jan 16 2019 1:42 am What a great drama!!! Ore-sama Jan 03 2019 7:53 am I really like his character in Go Back Couple, he really portrayed it well, I really can feel the falling in love feeling!! What a charming and adorable character! May you be lucky again with character casted in the future! Erica Dec 12 2018 10:42 pm They need to put the short drama Boy Next Door. Lol His finest work and I highly recommend it. You can watch it on YouTube, it's short 13 episodes. Nesah Dec 01 2018 9:07 pm Great actor, his role in Go back couple gave some serious SLS. So I looked him up and he's literally a day younger than me. gizibe Nov 16 2018 4:29 am loved this guy in MyAjussi, and I think he is amazing in Come and hug me go watch! irah Sep 15 2018 9:17 pm can anyone tell me which episode that chang ki yong are in its okay that love? eprk2 Jul 25 2018 8:23 pm First i watch your drama at the liar and his lover, i see your character not interested there. But after i wacth the Confension Couple, even you aren't the lead actor there, honestly its very strong character, more than the lead i think. You are very noted there. Give us so many attention. And everyone is know i think 'Come & Hug Me', yeah that was your amazing drama ever. Thanks Yoon Na Moo, ah~ no! Chae Do Jin!! hahha, Thanks JKY. Btw, i like your hair style. Barbara Jul 22 2018 5:28 pm Such a beautiful man?. More romantic dramas for you I hope❤️ Come & hug me was pbhenomenal? Shinobi Jul 20 2018 1:10 pm The drama Come and Hug Me is Chang Ki Yong's best performance so far. As the male lead character, he was able to portray his role effectively with just his facial expressions alone. His eyes speak volumes on the kind of expression needed at every scene. He can be sweet and gentle, yet bold and menacing as well. Here's hoping for more movies and dramas with Ki-Yong as lead actor again. He deserves to be seen once more. Thumbs up! tin Jul 06 2018 7:01 am woah. he is everything to me. I wish he will play the lead character soon because he is definitely lead material. I wish to see u in person oppa !!!! jj Jun 30 2018 11:03 pm Jang Ki Young is really handsome. 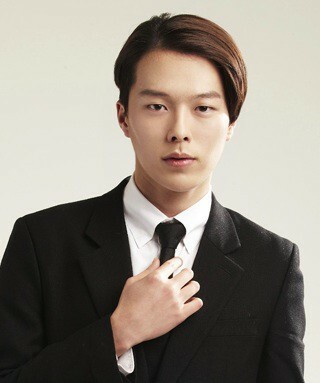 He has some similar feature as Ahn Jae Hyun but look more manly. I look forward to see more of him. And Nam Da Reum, the one who plays the child version of his role in Come and Hug Me. They are not that look-a-like but still acceptable. Surprisingly, Nam Da Reum is the sunbae even though he's only 16. I have a soft spot for him ever since I saw him in Pinocchio, one of my favorite drama. I'm sure both of them will be big actors someday. They are promising. LoLa Jun 29 2018 5:07 am One of the best looking actor in kdrama nowadays... versatile and charming... fighting... see you more!!! HV Jun 28 2018 4:59 am I am being blown away by this practically new actor, Chang Ki-Yong. The range of emotions that he is able to convey is just unbelievable. If he does not get an award for “Come and Hug Me,” I will be very pissed. Both Chang Ki-Yong and Nam Da Reum are progressing superbly with their craftsmanships. Zing Jun 24 2018 4:29 pm Hi it's my first time commenting on something like this(I can't help it) but I really like this actor<3..when I saw you in Go back couple it was weird how he let out a different aura from other "perfect" second male leads...so coool, charismatic, and handsome in ur uniform! x3..but I was more surprised to find your other works SO different from ur role in Go back couple...u can pull off ANYTHING and I'm loving it! And u were so funny in Boy next door I died xD ....youre also VERY VERY talented in singing and rapping( I think im inlove <3)...keep up the AMAZING work! Hope to see you shine the brightest among all u deserve it..
Papiertosmine Jun 06 2018 7:10 am This oppa is so handsome! Love you kiyong oppa??? kdramagirl Jun 01 2018 4:40 am please come and hug me.i love you sooooo much. Drama of the year Jun 01 2018 12:54 am You are getting more and more and more and more interesting? I can't stop calling your name while watching your drama? Franca May 30 2018 10:50 pm You are a fantastic actor. Congrats on this role and such great acting. The whole cast is amazing. I love the chemistry between you and lead actress. Can't wait to see you in more roles too. Nunu May 29 2018 7:04 am Finally he got main lead actor...."Come and Hug me" Yeah... High expectations ... Fighting !! Jenny May 26 2018 8:09 pm Wow! I didn't realize he was also in Lady and his Liar...his appearance, acting, and mood is SO different compared to Come and Hug Me. Amazing. 은희 May 21 2018 6:37 am I love this actor so much, he climb from the bottom and now finally he get what he deserve. I stop watching my ajusshi because his role is such a scumbag. Now he's a lead my heart really cant take it. His body gesture, his manly accent, his sad puppy face. Im dead! Dead! LoneGunMan May 19 2018 1:24 pm Great acting in My Mister. Didn't know if he could carry the lead but he is looking good in Come and Hug me so far. dils May 10 2018 1:11 am He is the one in IU's "Red Shoes" MV right? Mino Apr 27 2018 2:53 pm My oppa really great actor. I feel i ever see before but i dunno, and after looking for information, i got it. Yeah, it's 180• caracter than go back couple. That's really amazing i watch you again in this amazing drama. LoLa Apr 11 2018 7:57 pm Deserves a lead role not just for good looks but because you are such a good actor. Keep it up... Salute! krystal M. Mar 31 2018 3:34 am Just finish watching go back couple and I felt for the sweet & kind role he plays ....... then started watching My mister and I can't still get used to see him being bad! !...still Great actor... he can perfectly portray such contrast of characters. Rose Mar 23 2018 10:48 am Your Character in 'My Mister' is different from a typical dashing 2nd lead role.. your a great Actor.. keep up the good work!!! innutz Feb 22 2018 11:13 am You played well in go back couple..!!! Can't wait to see you in another drama especialy saeguk/history drama..!!!??? Park hyojin Feb 18 2018 6:40 am Omo omo omooooooo im soooo luuuuckyyyyyy we have the saaaaaaame birthdaaaaaaaaay yaaaaaaaa ?????? Changkigirl Feb 15 2018 6:10 am Even though i watched its oke this love and the liar and his lover, i didn't notice him.. It my first time seeing him while watching Go Back Couple at it hit me at first sight. Another oppa added to my list. He is such a handsome man. Hopefully he will be given a lead role with a bright aura leading lady for him to bloom as an actor. Looking forward for futures drama or movies. He is still young but so charming. Saranghe!!!! Mey Jan 22 2018 2:50 pm As expected from YGK+ Im a happy fans! maria Jan 13 2018 8:32 pm i love you ???????? TeamNamGil Jan 10 2018 7:03 pm if i become man jin joo i will choose him. he is super handsome. i can't wait to see your next drama and please be a lead player for your next drama. Bali Dec 24 2017 4:18 am Why so handsome ???? Christina Dec 17 2017 12:01 pm I love him soooooo much .. he has a very charming look . Ran Dec 06 2017 6:46 am Go back couple is his biggest break! Someone gave this handsome young man a leading role! I can't wait OMG he's so adorable ? go back couple jjang Dec 03 2017 9:58 am It surprised me that i've actually watched 5 of his dramas. I didn't recognize him lol. Im now watching go back couple & i was curious about him. He's like the combination of Ahn jae hyuk, hyun bin & kim woo bin in this drama even idont mind if jang nara ends up with him bcz he's charming hhe..
Ria Nov 26 2017 12:06 pm I really like him and i hope i can see a movie that he plays in main role?? Oliveoyl Nov 19 2017 3:31 pm He is perfect in the webdrama : The Boy Next Door with choi woo shik. Handsome, cool and funny. Dying laughing. LoL. This "couple " have a great chemistry. Ran Nov 19 2017 6:09 am Omo he looks like John Lapus or Jett Pangan of the Phils ? but he's so daaaaamn hot!! I think I'm in love ? Best KD2017 Nov 11 2017 5:02 am And the Best second lead goes to this actor in Go Back Couple, such a great actor in portraying His role and I know the fact that He will have more dramas to come. Becoming a leading man will also boost his career in the future and you also deserve an award in Go Back Couple both you and Jang Na ra and the leading man. Fighting!! Angge Nov 10 2017 10:19 pm omgomg!!! he's so handsome. everytime ma jin joo rejects him, my reaction is always 'I'M HERE BABY COME TO ME, LOVE ME INSTEAD'. but kidding aside, he portrays his role with conviction. he is really a good actor, not just a good-looking actor. ?? love u chang ki-yong ? Kris Nov 10 2017 8:25 pm One of the strongest second-lead-syndromes I've had since quite a while. Go back couple wouldn't be the same without him. Everytime 장나라 has her little moments with him I get such butterflies and i'm just watching him flirt with her,how she is taking it I don't even know. It does not help, how he exactly knows how to look in front of the camera to be extra charming. He has high potential and i'm sure he'll get even better roles in the future. I'm looking forward to see him in his next projects. Cezz Nov 05 2017 10:22 pm I watched some of the dramas he was in but i cant remember seeing him there. I just noticed him in love for a thousand more and he is indeed handsome. Now he is in Go Back Couple and im watching it because of him..
Fhs Nov 05 2017 7:16 pm Yes i love him too i love his character as nam gil.. i hope a happy ending for him and jang na ra in this drama..
syndromesecondlead .... really love nam gil ???omg!!!!!! Aries17 Nov 04 2017 9:41 am He is totaly crazy handsome in Go back couple...I really love if jang nara and jang ki yong to be cast as a couple in the future drama because they looks so good together and the chemistry was obviously superb to the max..
Guiltypleasure Nov 04 2017 3:05 am Give more drama for him please !!!! Mari Oct 31 2017 10:23 am Baby boy is so cute in Go Back Couple. Makes me want to take care of him ???????? Entiek Oct 30 2017 11:05 am His face is not new for me, because I love his character as well when he was playing with Sandara. Now he's with JangNara... I really hope this drama end with them together. the divorced is just a cumulative of everything, caring for each other doesn't mean they have to go back together again. it's just a human nature to care of someone that already close with us. but that doesn't mean they can make them self happy inside. Jiin Joo and Nam Gill are more likely able to fill each other, respect each other and happy together as he has a strong character that can support Jin joo, so she won't loose her self esteem. because after all, choi ban do is the root of the problem. He's actually a coward guy with a low esteem, he regrets every single thing that he did during his youth life. That's why he became a lowly worker in the future and unconsciously made his wife has to feel the same like what he has ben through. and it's actually showing how selfish he is... and he didn't deserve a second chance. regardless his effort to make it better later on... if he really will do any big effort on fixing the relationship with jin joo, isn't it just another selfish wills to make him self feels better after realizing all the bad thing happened because of him? a child needs to see and feel that both parents are happy, that's the important thing. Not a couple who force them self and the pattern will go round all over again. really hope the director didn't make this drama just like any other drama... and a divorced couple doesn't have to be making one side is the worst. both has a right to be happy. mon Oct 30 2017 8:40 am I like him from go back couple. fighting??? tin Oct 29 2017 10:42 pm You caught my eye on Go Back Couple. I'm rooting for Ma Jin Joo and Jung Nam Gil.. You are an eye catcher in this drama Cha Ki Yong. I hope you'll be a successful actor soon. Luna Oct 29 2017 12:08 pm Known him since his model life! He's not that eye catching you know when I first saw him because Nam Joohyuk caught my eyes even though I know them at the same time. And both are under YGKPlus and seem to be good friend! But my point is why is he not as popular as Nam Joohyuk?! Lol suddenly. Anyways his acting in Seonam GHS Detectives was totally good!! Like really. Love You Thousand Time too! That happen to be YG webdrama along with Why We Broke Up! And both lead male is Kang Seungyoon lol. Buy my point is he needs more roles and go bigger because so many models turn actors are successful now why not him! Please give him more lead role! Sang Jin Oct 29 2017 10:40 am Oppa i love you! ?? Anyways, oppa hope you have more projects onward ❤️❤️❤️ Daebak! Debbi Oct 28 2017 11:50 pm oppa why so handsome? saranghae I really like your drama in go back couple..
M87 Oct 24 2017 1:40 am Aaaaaaaw.... He is So Cool, I love him ? Tya Oct 23 2017 6:06 pm Super cool and handsome in Go Back Couple ???? Amira Oct 22 2017 1:22 pm He's damm handsome in Go Back Couple!!! NateRiver Oct 22 2017 5:17 am I was shookt!! He's only 25!!! Im falling for him head over heels in Go back couple!! He's so cool and handsome!! ellimach Oct 22 2017 1:54 am I'm so in love with this guy! I love him in go back couple. ? Princess Oct 22 2017 1:47 am OMG! this guy is sooooooo handsome! I love him in Go Back Couple! ??? KJH Aug 13 2017 4:00 am I think his name is Jang Ki Young(?) He's from YGK+ right?? Thebes Jun 06 2017 8:28 am He and Choi Woo-Sik are totes cute in the webseries "The Boy/Guy next door" Sadly more queer baiting than BL, but if you watch it as comedy its sooo cute. Like their chemistry. kezia Dec 27 2016 9:44 am jason is <3 <3 <3 i hope theirs a sequel for "love for a thousand more" more please..
Jenny Jul 26 2016 8:25 pm Are some of you blind? I don't see where he looks like Bobby from Ikon. Maybe they both have the same expression when they smile, but they look like opposites. Both talented nonetheless. 비밀입니다 Dec 15 2015 1:57 am Omg. I thought Im the only one who thinks that he looks like my bae Bobby of ikON. Waaa. I will be watching out for this guy. uuu Oct 19 2015 3:46 am i love him on Seonam.. I want an oppa like him..
Andrea Ottemusu Jul 05 2015 7:56 pm i'm here because of we broke up mini series. he's having a great chemistry with Dara. fighting! Ems Mee Apr 26 2015 7:28 am you're so handsome.. Oppa fighting! Hanee1 Apr 06 2015 6:37 am From the witty personality to handsome face and additional of looking like iKON Bobby.... Ommona = Heaven... Fighting Oppa ,..
Katiana Mar 18 2015 3:28 pm Omg I just love him so much!!! AHHHHHH!!! Katiana Mar 18 2015 3:27 pm Omg I just realized his birthday is in the same month as mine! (My bday is August 28) That's definitely bae!! Katiana Mar 11 2015 6:46 am Ki Yong is so hott!! I have seen every drama he was in and let's just say he is officially my crush!I just love his smile! Inhyun Feb 21 2015 10:33 am hyunbin's voice, Ahn jae hyun & lee hyun woo's face.....Jang ki yong is combination of the them..
Kristine Jan 25 2015 11:38 pm Kiyoung you are so haaawwwwt. Your chiseled jawline and them cheekbones. I've watched every drama you're in and your my model crush next to Lee Jong Suk. I love your acting and keep doing your thing! You're so awesome! rebecca Jan 02 2015 8:11 pm luv him! so hot!! luv his acting in the Greatest Marriage! aen Dec 23 2014 7:46 am Fine looking actor new to the drama world. Good actor very pleasant to look at hope to see him in many roles in dramas/movies. Love his character Pedro in Greatest Wedding. Mahon Dec 12 2014 4:38 pm omg i love his acting in the greatest marriage..
Joy Oct 01 2014 11:05 pm such a cutie~ By the way he was in Surplus Princess as well. He was one of the high class jobhunters. Lol.